Having lived in London for over 3 years, I have heard whispers of this group of people who love to run. They celebrate medals and cheer each other on so loudly at races you'd think it was the Queen running by. Members in my classes at Frame would have these tags on their shoelaces. One of my personal training clients finally shed some light on what this revolution was. 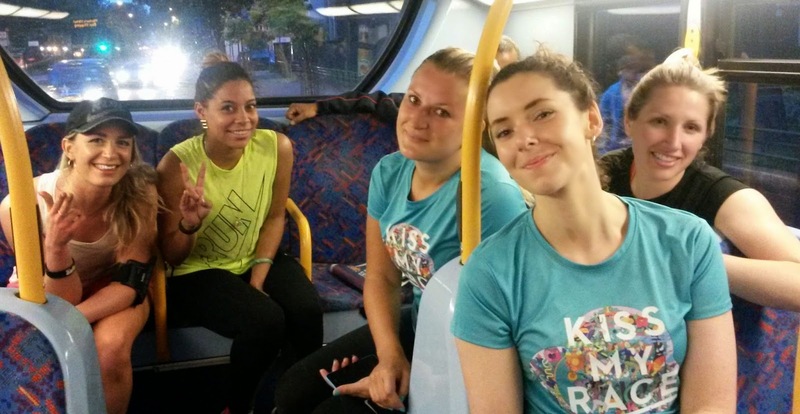 Formed by Charlie Dark in 2007, Run Dem Crew is a running community that brings together people. Not a club. It works to mentor future generations (with the Youngers program) in a safe and positive environment. From what I witnessed on a Tuesday night in Shoreditch, all ages benefit from this forum. The evening starts with housekeeping- a few announcements, some inspiration and lots of cheering as people as awarded their medals by Dark. Even though there are nearly 200 members of Run Dem, Dark seems to know them all and they each seem to know each other as well. There is pride in every second off of a PB (personal best), every drop of sweat, and every pair of trainers that are retired. I ended up at the session as part of the Run Hackney. It is a brand new half marathon taking place in London on 22 June. The 15,000 places are almost all gone at £40/spot. Roads will be closed as the streets of uber-cool Hackney are explored on foot. Due to popularity of the half, a free 5K has been added to the day prior, making the weekend one of physical activity for the East London community. I have signed up for both the 5K and half marathon as part of my race reporting on RaceDay.co.uk. Eighteen of the Run Dem Crew Youngers have been given places in the half marathon. Their training has been guided by the family that runs together on Tuesday nights. Unfortunately, most of the Youngers are in the middle of A-levels so I only met a few. None of them are from Hackney but all areas around London. I met Sym from Forest Gate. At 17, he is tall and very easy to talk to. He plays cricket and football, but was never really a runner. His English teacher told him about Run Dem Crew and he thought he would give it a try. That was three weeks ago. The Run Hackney half will be his first race and he is looking forward to it. Sym said it is much easier to run with friends than on his own. He isn't sure what he wants to be when he grows up yet but I think I heard law school in a list of interests. Many of the Run Dem Crew folks I ran with have a few races coming up, several in London. Even as I was eavesdropping, people were catching up on where they had been running and where the next run was. I met some lovely ladies who let me be a 'Greyhound' with them. 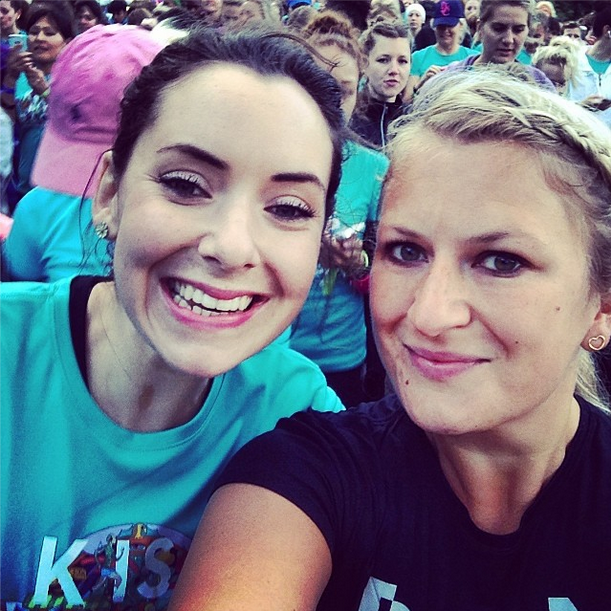 Lizzy and her best friend Lucy were supposed to run the London Marathon this year but both withdrew due to injuries. 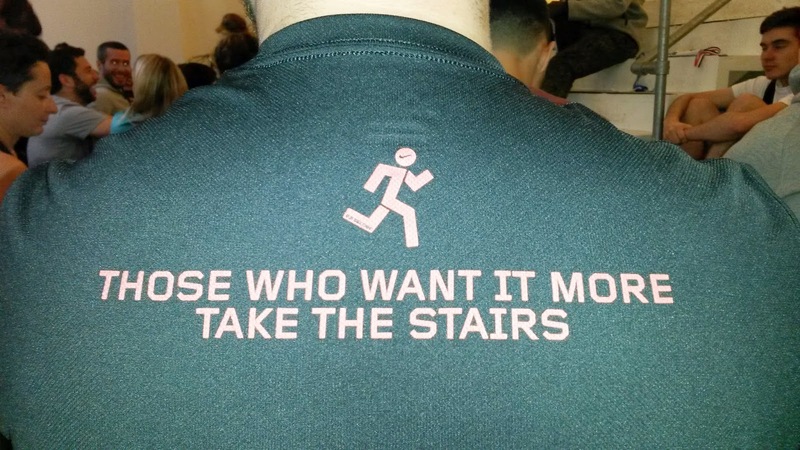 The plan is to run the Nice to Cannes marathon in November and run London in 2015. Lizzy is convinced Run Dem Crew has changed her life. Her theory is that it is hard to meet people after the after of 24. Once you are out of uni, most of the new people are brought into your life through work, church, or your children's friends' parents. But if you live in London without any kids and are more spiritual than religious, that rules out a few social networks. That is why Lizzy loves RDC. Since joining, she has over 100 new friends who she would have never met otherwise with people of all different background from different industries. They all have one thing in common. They love to run. Each person I met that evening was warm and welcoming. We chatted about running, travelling, work, and where we were from. It made the run a bit more fun as you are distracted by the friendly banter. There wasn't even a hint of competition when talking about pace. Every mile was treated with the same amount of achievement. Early in the evening, Dark joked that people walking by would see us through the glass front windows and think we were a church with the cheering for each medal presentation. It is a perfect analogy. 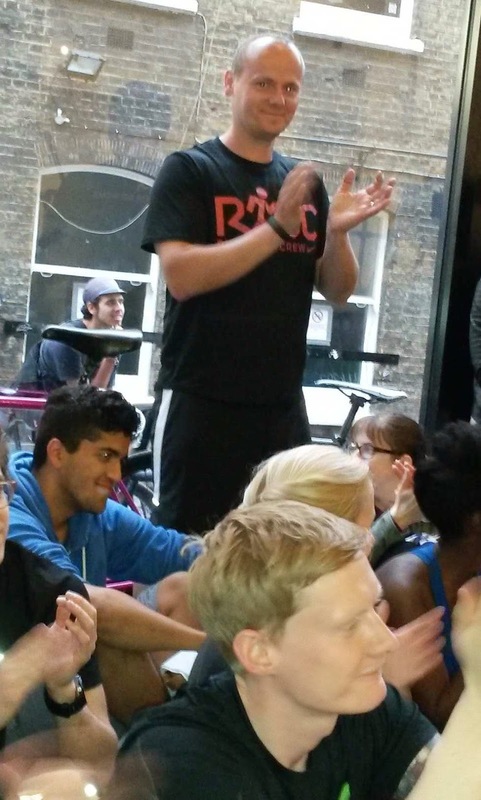 RDC members come together for their belief in running. Pounding the pavement is their passion. Race days are celebrations. RDC is their family. Who wouldn't want to be a part of that? Curious about RDC? Join Cheer Dem Crew in inspiring their Youngers along the Hackney Half route on 22 June in London.